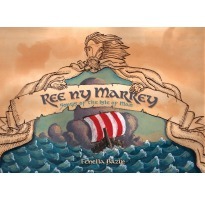 Ree ny Marrey is a selection of Manx songs in Manx and English arranged for piano by Fenella Bazin, with illustrations and words. Easy to play! This second edition contains extra songs and newly commissioned illustrations by talented Manx artist Juan Moore. Over 60 songs from traditional, national and music hall genres. Spiral bound, colour cover, landscape orientation.